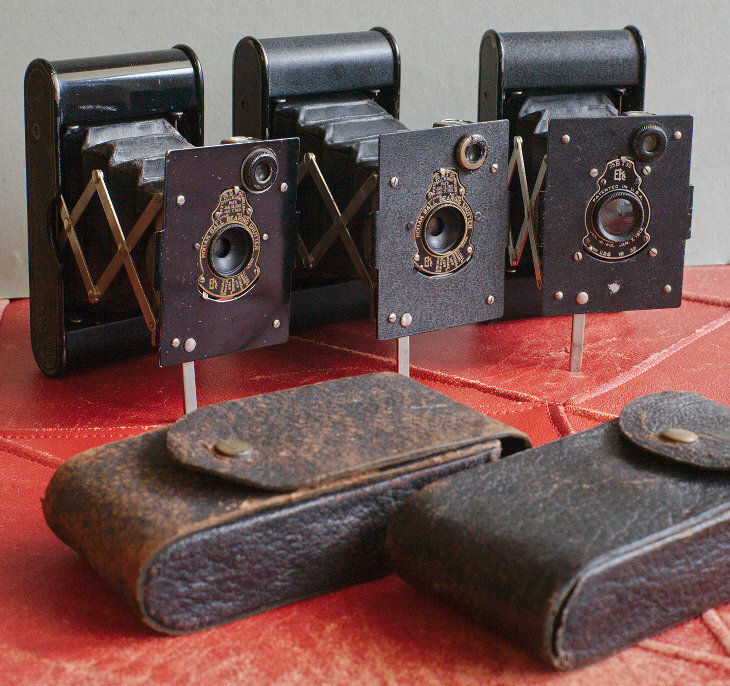 The VPK on the left is painted black, the other two have a "Japan Crystal" surface. The VPK on the left has a Meniscus Achromat lens hidden behind the shutter. 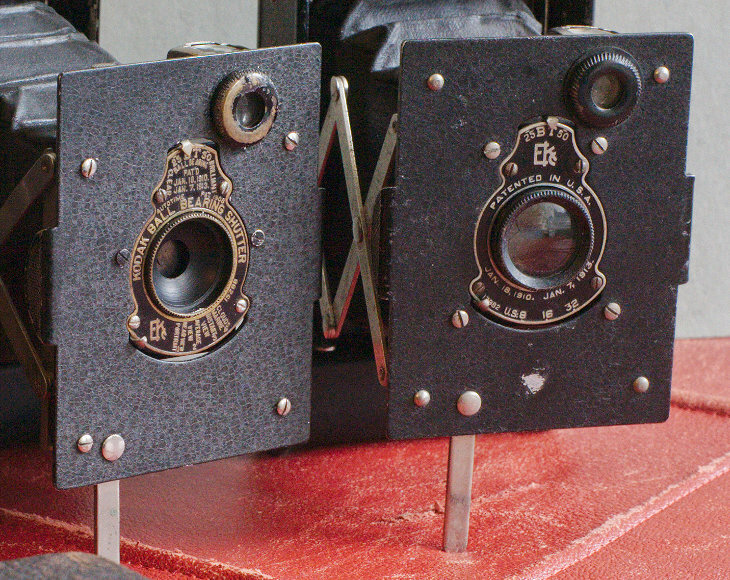 The VPK on the right has a clearly visible Rapid Rectilinear lens.